Commercial Real Estate? Vendor, Purchaser, Landlord, Tenant. Property buyer, seller, landlord or tenant? Our purpose designed solutions are carefully crafted to maximise opportunity whilst minimising your cost. For ease of reference they are grouped, so that you can view them from a Client or Property perspective. You can harness the combined real estate expertise of our Brokerage and six Consulting Divisions, selecting the precise property service you require when, and only when, you need it. 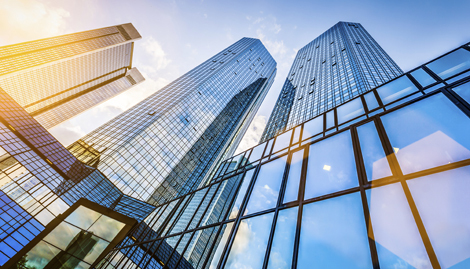 Commercial real estate relationships are usually lengthy, costly and by their nature risky because they occur between parties with different time horizons and business objectives. Our expertise, appropriately deployed in a timely manner, can reduce the frictional effect of the relationship between landlord and tenant, vendor and purchaser, and often produces a “win win” solution for both parties. In our experience most disputes arise through misunderstanding or misinterpretation of the contractual or intended relationship and can be avoided at the outset by knowledgeable and trusted advice from an acknowledged expert in the field. Throughout the property ownership life cycle, we are with you every step of the way. Our Purchaser Representation service will assist you locate the property that best fits your fiscal, physical and time objectives whilst minimising the price you pay, Landlord Representation finds you tenants and maximises your rental income, Lasercad® Space Measurement minimises tenant concerns and reduces landlord/tenant conflict, Property Tax reduces your property tax load, Economic Intelligence, Planning and Counselling uncover opportunities, guide redevelopment, repurposing or repositioning, Valuation facilitates refinancing and Vendor Representation maximises the price on disposition whilst minimising sales commission and possible conflict of interest. If you are seeking or already occupy office, industrial, retail or other type of space our Tenant Representation care package can assist you locate the space that best meets your fiscal, physical and time constraints, and negotiate terms that minimise your costs, and maximise the opportunity, to access suitable rental space. If you require in depth study on site selection our Economic Intelligence Unit are available to identify locations that best meet your business objectives. Our Lasercad® Space Measurement team are at your side if you have concerns about the accuracy of the leasable area on which your rent is based. Our Property Tax team can review property tax and common area charge apportionments to ensure that they are correct, and are available to negotiate adjustments if such are warranted. Please browse our services by selecting your viewpoint: Client or Property type.